Each of our graduates is also eligible to use our nationwide job placement assistance program through Professional Bartending Schools of America. 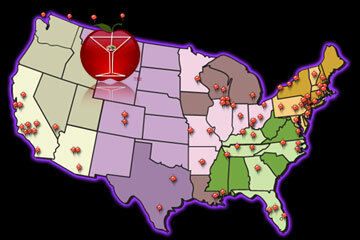 With 36 campuses, PBSA is the nation's largest group of independently owned bartending schools. The student then simply reports to the new campus and shows their Barmasters diploma and all of the new cities job openings are available to them at no charge. The new school will treat the graduate like one of their own. The graduate may use job placement services at the new campus as often as they like.